While you’re packing, consider throwing out these household items and give yourself a fresh start in your new home. It’s a great feeling to walk into your new home and know you have a blank space to work with. But making sure your new home stays this fresh, clean and exciting is much harder. Here are five things to consider throwing away before your next move. 1. Old trash cans. Old and used garbage cans and bins can be dirty and in bad shape. And nothing says “yucky” like an old trash can that you’ve used for years. If your family is anything like mine, you have gum, stains and sticky spots on even the cleanest of indoor and outdoor trash cans. Do yourself a favor and throw out the old bins before you move to your new home. 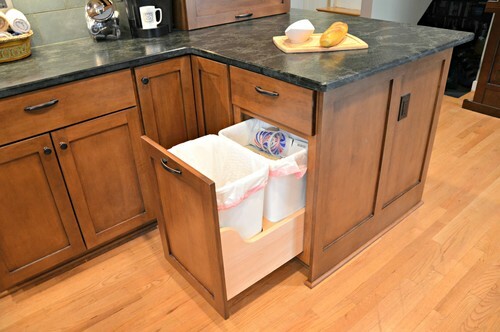 You can buy new trash cans that match, fit the space and are clean. This rule may also apply to recycling bins you have around the house. If buying all new cans isn’t in your budget, definitely clean your cans before packing them into your moving truck or car. Fill the inside of the can with dish soap and warm water and let it soak. Then scrub. The soak will make scrubbing easier. 2. Toys. Moving is the best time to clean out the things you haven’t used and the things that won’t serve you in your new space. 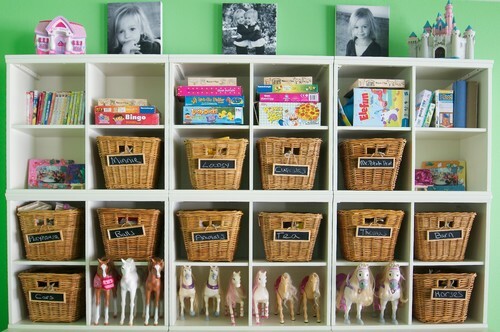 Toys are a major clutter culprit, and often many of them just aren’t being used anymore. My motto: Keep the favorites and toss the rest. Once you’re in your new space, you can buy a special new toy to celebrate the move. Pro tip: If you feel too guilty about getting rid of your child’s toy, pack up the ones you think your child may miss and leave them in a separate box in the garage. If they don’t ask for them after a certain amount of time, get rid of them. 3. Old paint. Every client I work with has gallons of old paint. Chances are the colors match your old house but not your new one, so this is a great time to clean out all the old cans. Before disposing of paint, check your town’s rules on recycling or disposing of it. Pro tip: If you loved some of those colors, add them to a spreadsheet on your computer. Make sure you list the room a paint was used in, for future reference. Make sure to update the spreadsheet as you repaint in your new house too. 4. Paper. As long as you’ve rectified your statements, paid your bills and set aside important documents and receipts, you don’t need to keep all the paper that’s weighing you down. 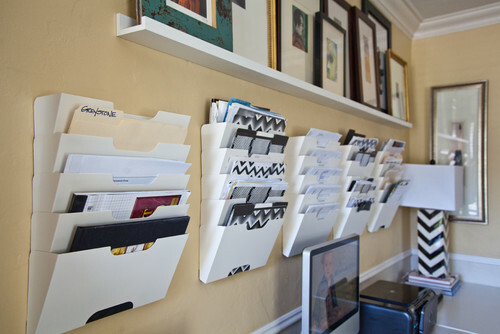 File the things you need to keep, such as tax documents, health insurance paperwork and property records, and get rid of the rest. I keep three files on my desk at all times: bills to be paid, business receipts to keep and paid bills. Once I see online that the paid bills have been registered as paid, I throw the paper versions out. This keeps the files small and manageable year-round. Pro tip: In the weeks before you move, carve out five to 10 minutes a week to tackle the paper piles you have around the house. Almost all of the items in these piles can be thrown away if you take the time to go through them. 5. Storage containers. 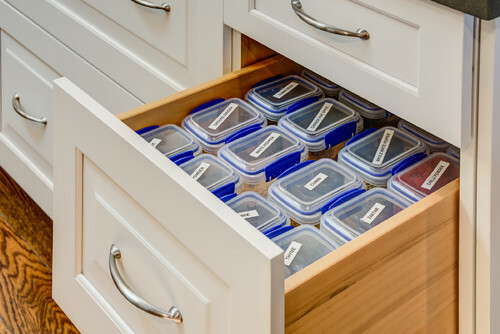 Do yourself a favor and get fresh storage containers for your new home! The container drawer is often a major source of clutter and frustration for my clients. Your new home will feel even newer with a full set of matching storage containers. I store my containers with the lids on so they don’t get separated. If for some reason the lid does go missing, I repurpose the bottom or get rid of it. I’m loving glass containers these days because I can microwave, store and eat from them. They can do it all and then go back into the drawer with their matching lids.